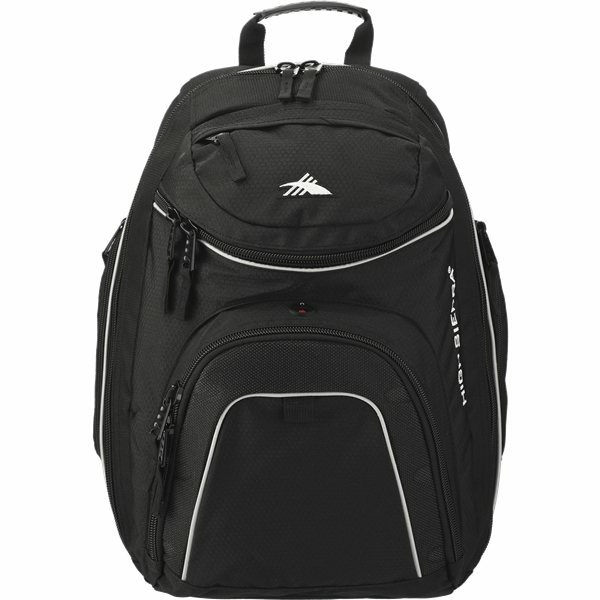 The High Sierra® Jack-Knife Backpack features a large main compartment, an easy access, top-load center compartment and a front pocket organizer with a key fob. Also includes a side zip water bottle pocket and a media pocket with headphone port. I bought this item for our teachers, plus they appeared extremely pleased using the product. Everything returned great, one factor that could be nice is that if the logo design might be somewhat bigger, apart from that it appears great. I would continue purchasing the product as long as conditions remain the same. this is a nice product to buy in large quantities as a corporate gift or graduation gift.